Online auction will close on Wednesday, September 5th. View items and learn more at www.32auctions.com/STL2018. 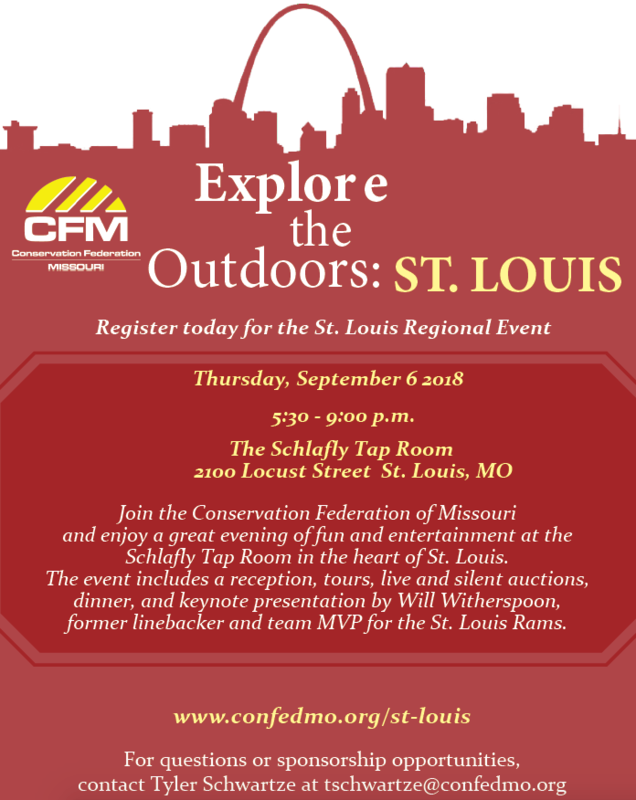 Make plans to join CFM for the Explore the Outdoors: St. Louis event at the Schlafly Brewery on Thursday, September 6. The event will take place in Schlafly’s Tap Room located downtown at 2100 Locust. The evening will feature keynote speaker, former St. Louis Rams linebacker Will Witherspoon. The 2007 Rams team MVP will talk about his transition from 12-year NFL career to current farmer and conservationist. Brewery tours will take place and the musical duo Augusta Bottoms will perform. Live and Silent auctions and raffles will also be taking place throughout the evening. All registrations will include a meal, drinks, and a one-year membership to CFM. 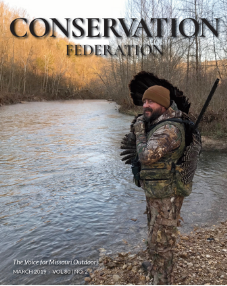 Join us on Thursday, September 6 at Schlafly’s Brewing Co. in St. Louis as we raise our glasses in the name of conservation. Registration is now closed. Contact Tyler Schwartze at 573-634-2322 ext 108 for information.